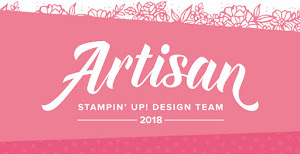 Hello my Stampin' friends / Bonjour et bienvenue mes amies. Today I have a beautiful creation to share with you that is CASEd from the Autumn:Winter catalogue. We will be making this stunning frame at my Atelier on 3 December, so if you are local to me and would like to create one of your own, please get in touch to reserve your place. Aujourd'hui j'ai un cadre de Noël pour partager avec vous. On va faire cet projet à mon atelier du 3 décembre, donc si vous habitez à coté chez moi, n'hésitez pas de me contacter pour plus renseignements. My frame comes from Ikea, so easily obtainable and great value for money too. 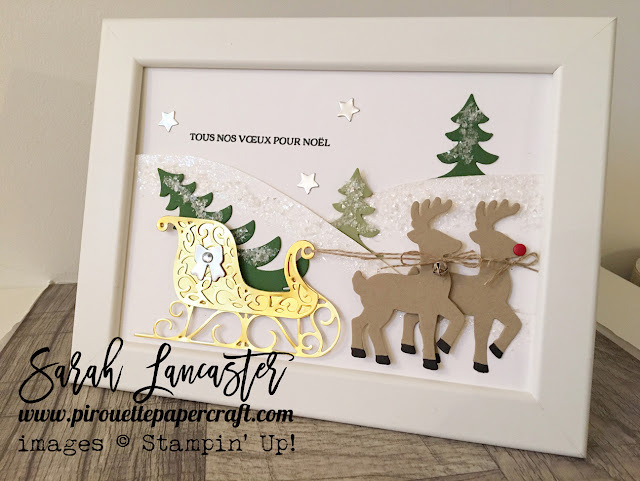 I coloured the hooves of the reindeer with my Stampin' Write Markers and added a red candy dot for Rudolph's nose ! Love it !! Le cadre est d'Ikea, donc disponible pour un petit prix mais très très joli ! Je l'adore, bref bref bref ! !